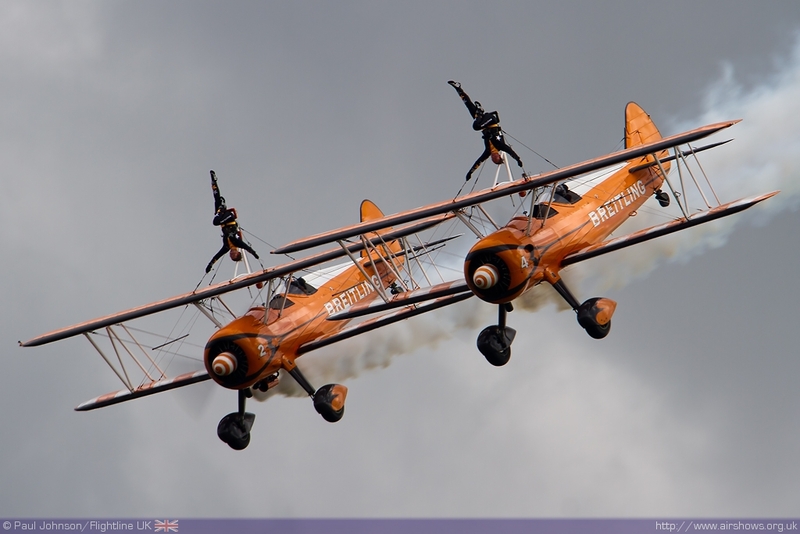 We couldn’t help but feel rather relieved that Abingdon Air & Country Show actually went ahead at the beginning of May. 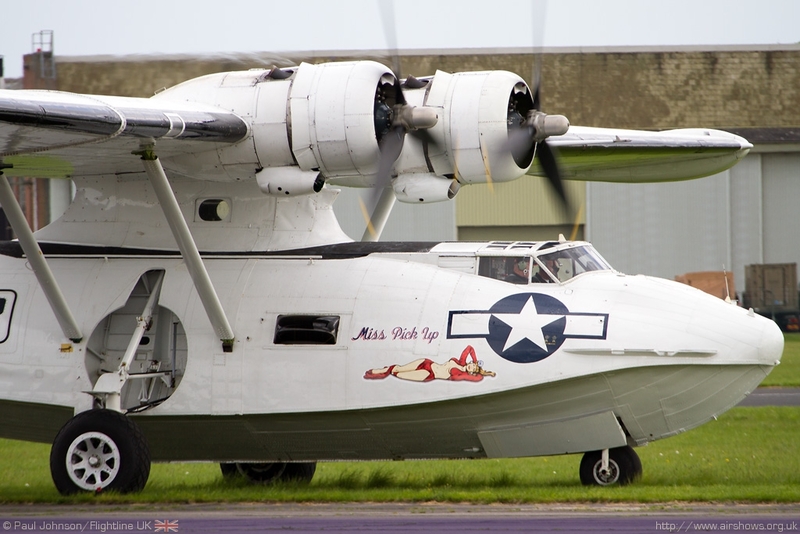 A thoroughly wet April left many areas of southern England waterlogged leading to the cancellation of Old Warden’s season opening event the same day. 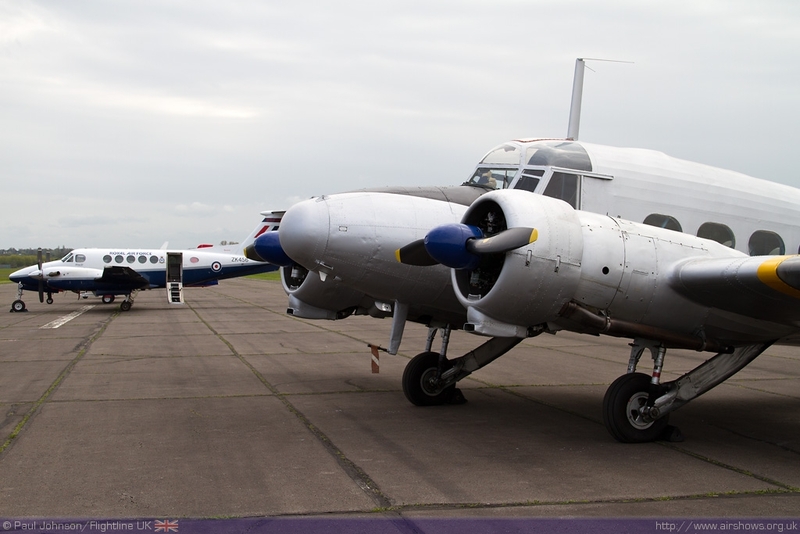 2012 was a special year for Abingdon as it celebrated the airfield’s 80th Anniversary. 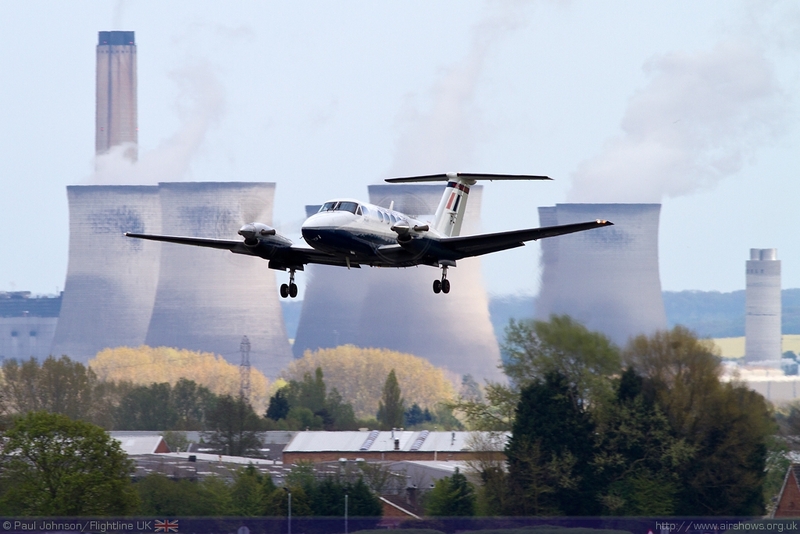 In 80 years, Abingdon has seen a lot of interesting events and units come and go. 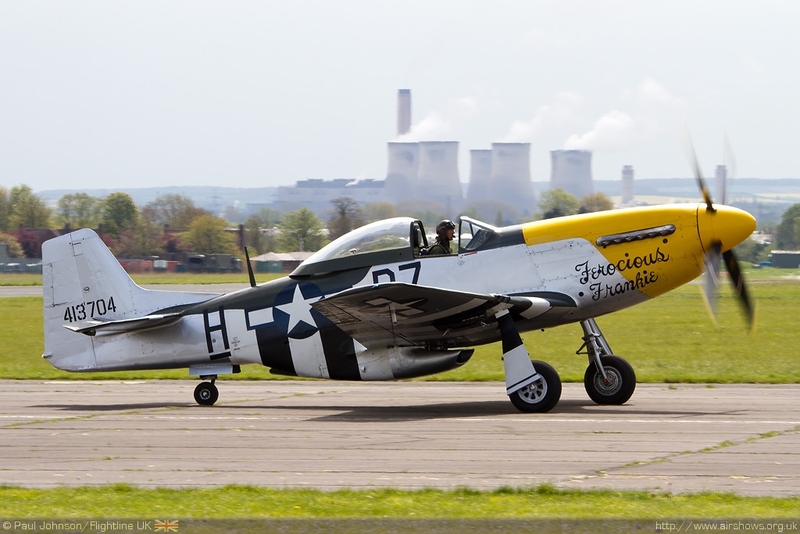 Neil Porter put together a thoroughly interesting flying display interspersing some airshow favourites with some of the aircraft important to Abingdon’s rich history. 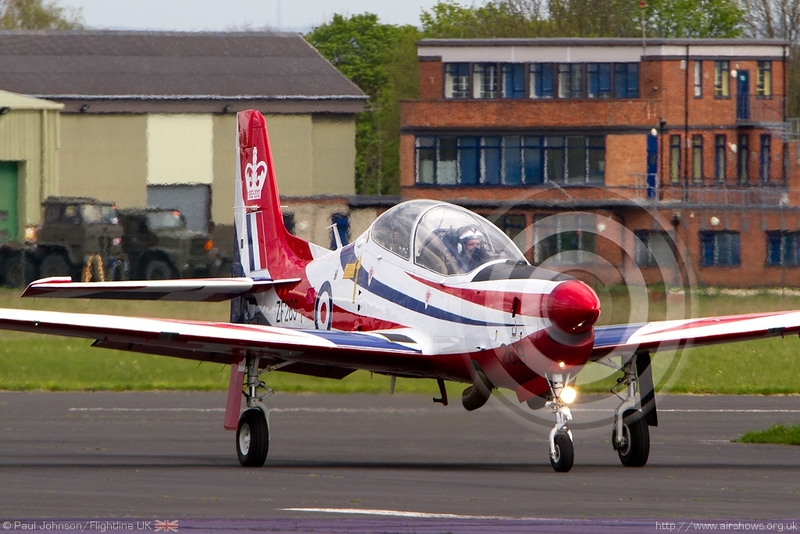 It seemed to be a very slow start at Abingdon this year. 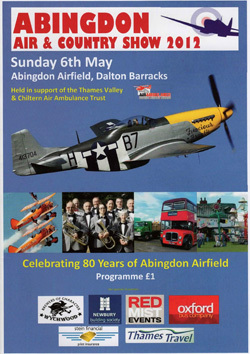 Clearly the weeks of poor weather and a somewhat changeable forecast for the show weekend itself put people off making the decision to go to Abingdon right up until the last minute. 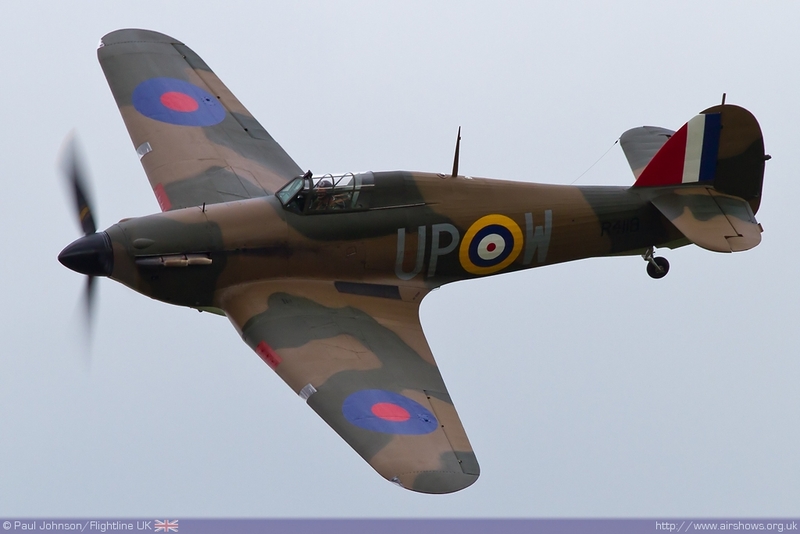 Happily by the time the flying displays started Abingdon seemed a much busier place thanks to the weather improving throughout the day. 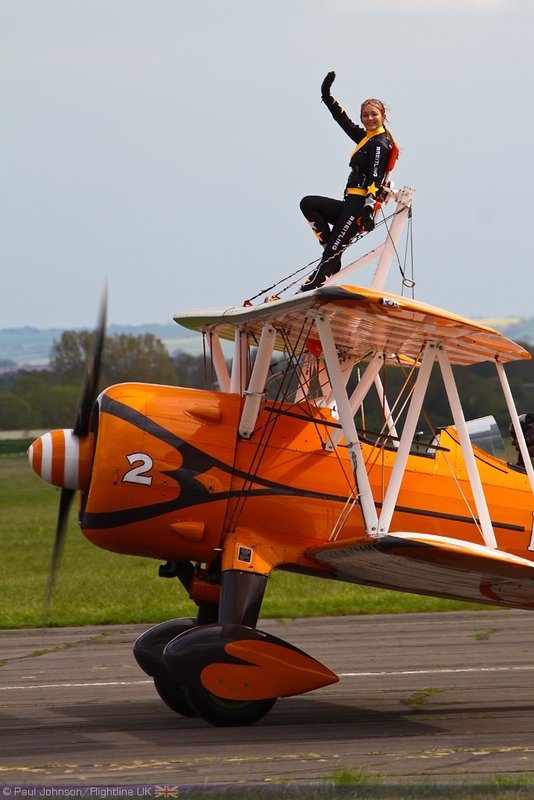 The Abingdon Air & Country Show is about so much more than just a flying display. 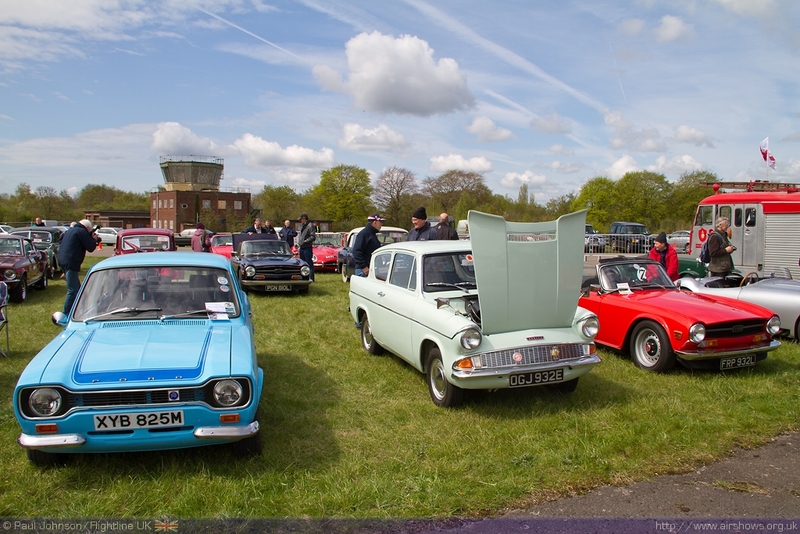 The showground contains lots of different activities for the family including a full arena programme, classic cars and the obligatory fun fair rides! 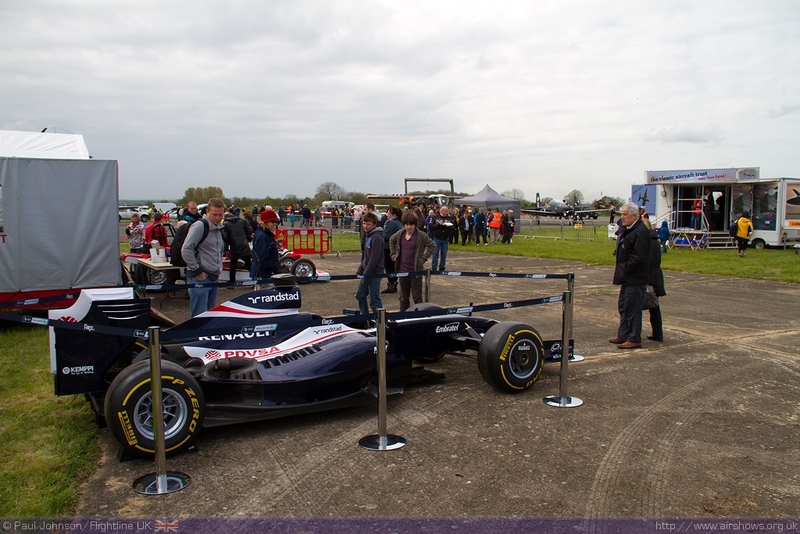 It was also good to see support from the local Formula 1 team, Williams F1, who brought one of last year’s cars to the show. 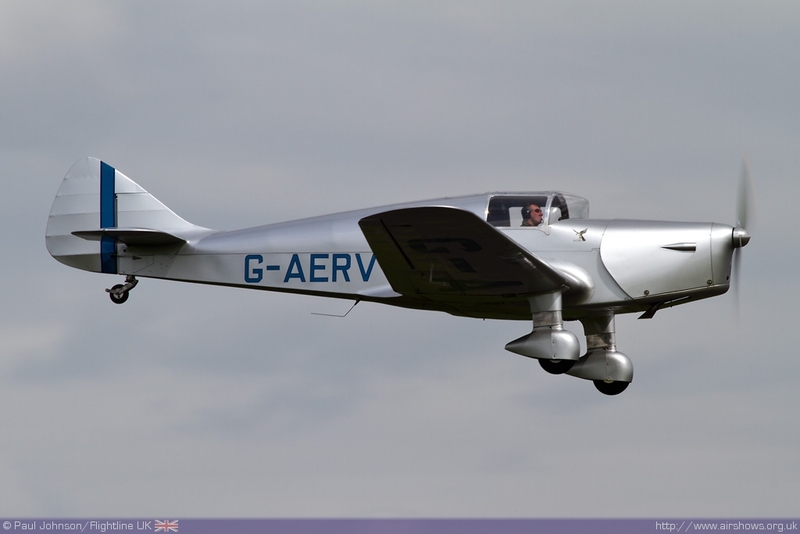 The show is held to support local charities and this year supported the Thames Valley and Chiltern Air Ambulance. 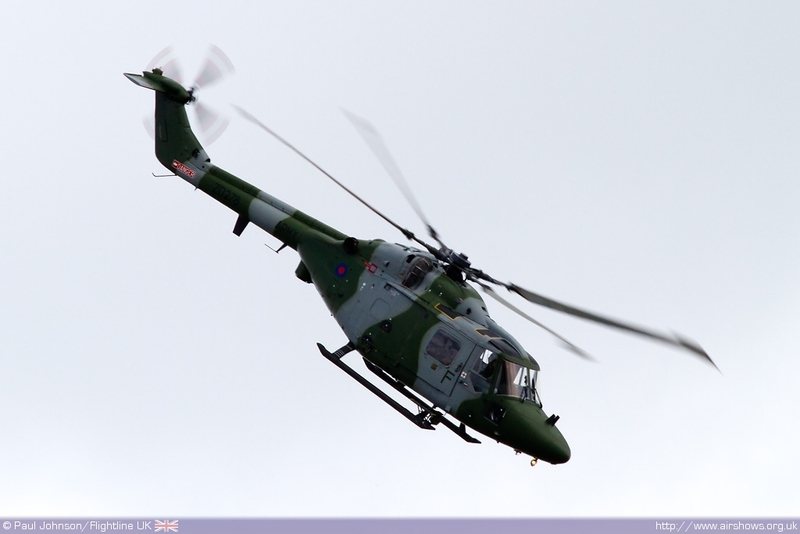 The aircraft itself, a Eurocopter EC135 made a brief appearance before the start of the main flying display. 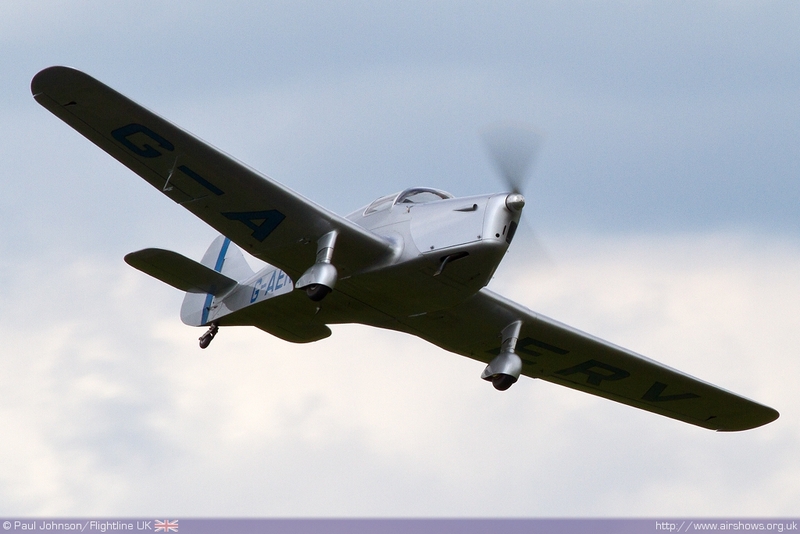 Abingdon always hosts a very full fly-in and static park. 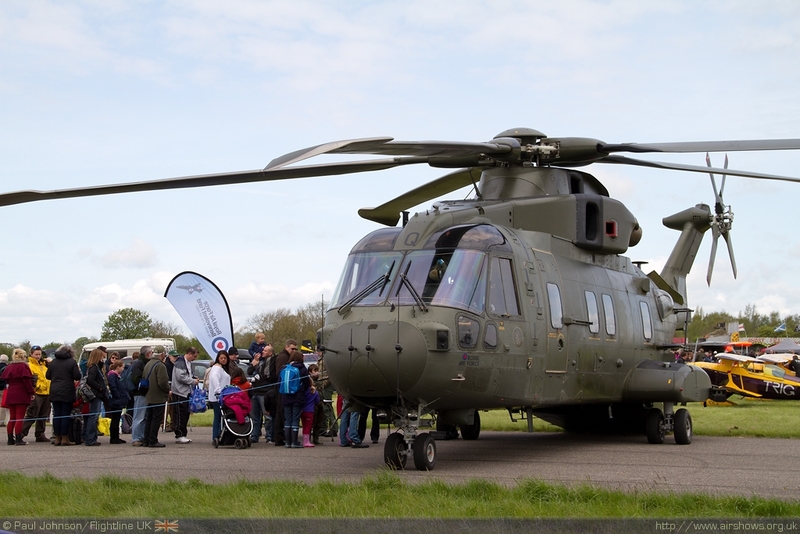 Nearby RAF Benson have been long-time supporters of the event and one of the first things people saw as they came through the gates was Merlin HC3 from 28/78 Squadrons. 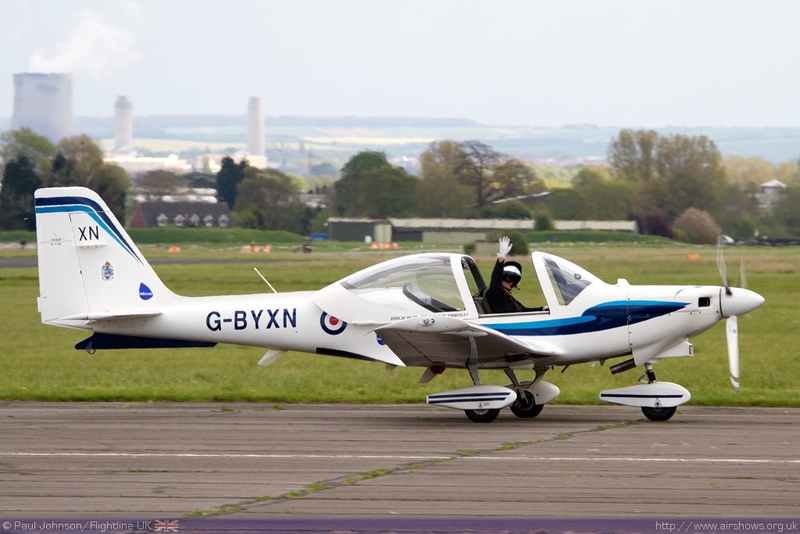 There was further support in the static park from one of the Abingdon based Vigilant T1 motor-gliders from 612VGS. 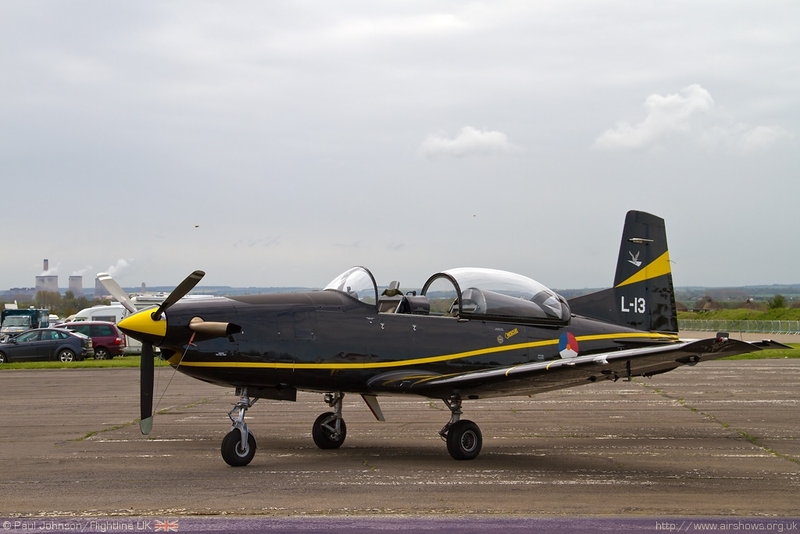 A very welcome addition to the static park was a Pilatus PC-7 Turbotrainer from the Royal Netherlands Air Force. 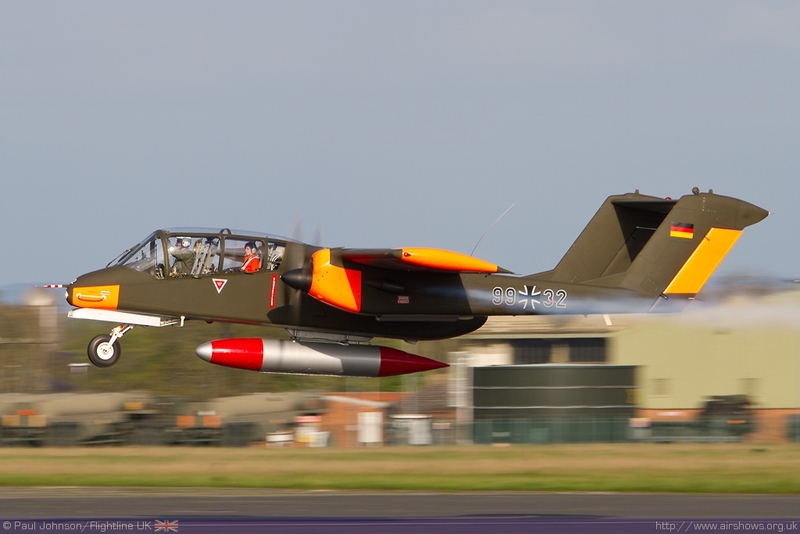 Considering the recent defence cuts in the Netherlands it was great to see support from the Royal Netherlands Air Force so early in the season at a non-military sponsored event. 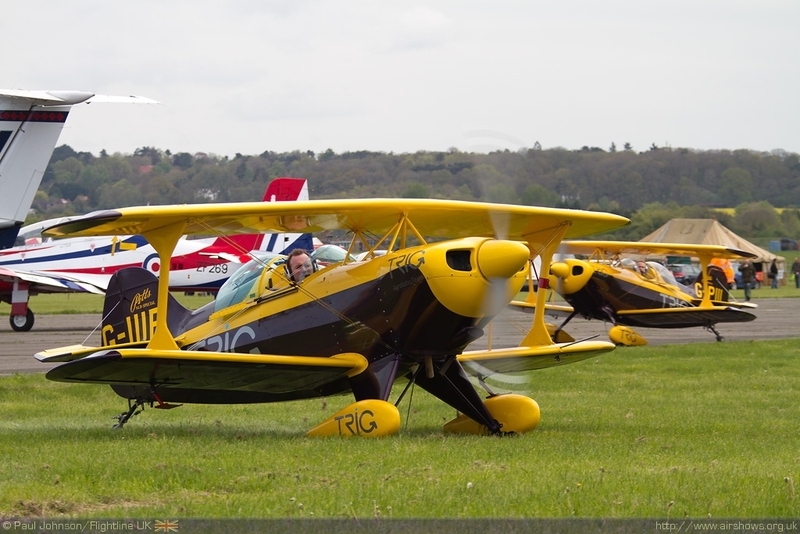 The civilian participants to the fly-in came in many different shapes and sizes with everything from Microlights though to ex-military machinery. 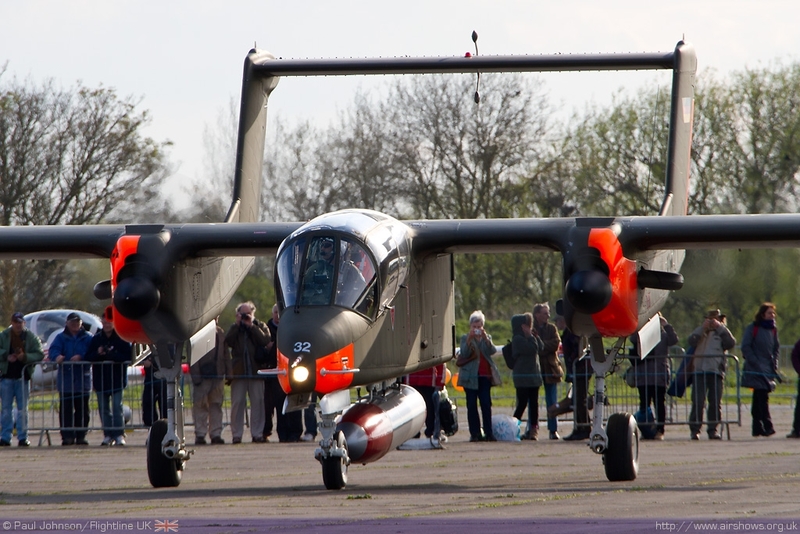 Undoubtedly a favourite amongst enthusiast was the Bronco Demo Team’s OV-10B Bronco which was an imposing sight amongst the aircraft park thanks to its size and day-glow orange bands reflecting its Luftwaffe days as a target-tug. 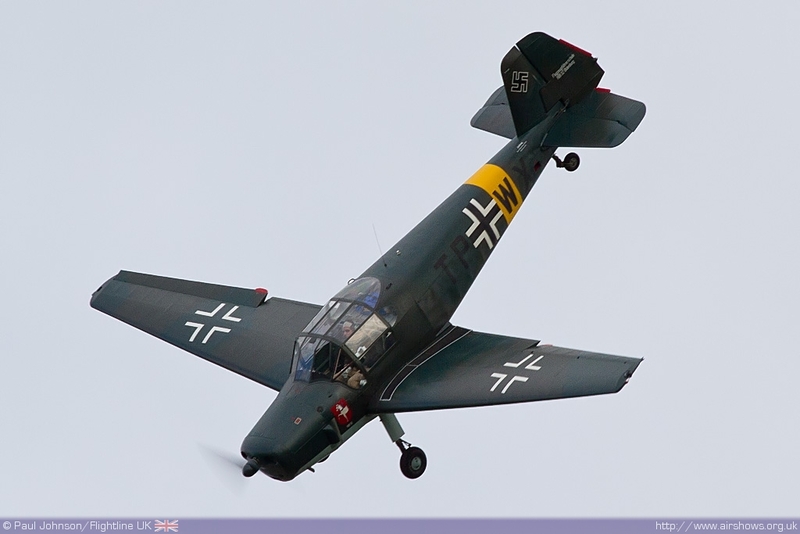 For those that hung on to the very end Tony de Bryun treated spectators to an impressive departure and flypast on his way home to Belgium. 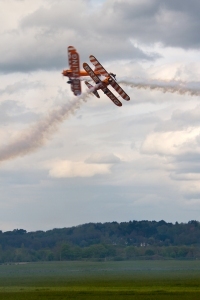 Abingdon is the first major airshow of the display season and as such provides valuable experiences to the military display teams ahead of a busy few months. 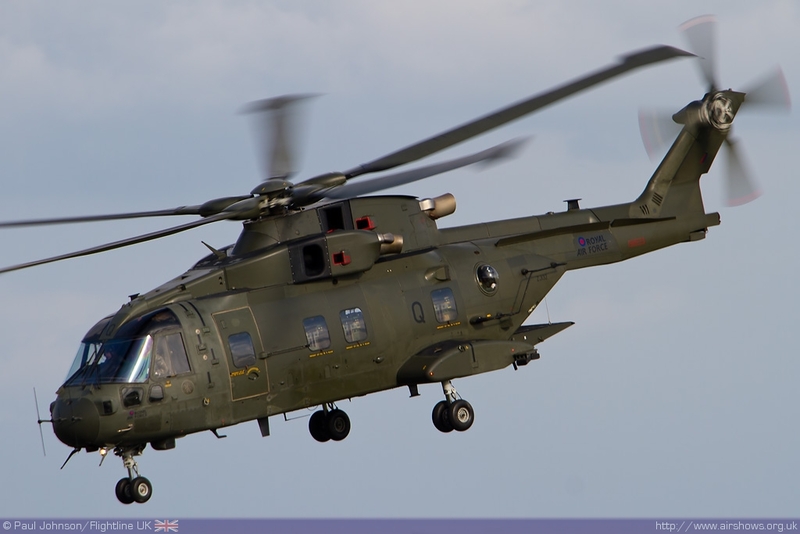 Despite no being officially allocated to Abingdon, the Army Air Corps sent the Lynx AH7 solo display to Abingdon for a ‘practice’ display before the main air displays get underway. 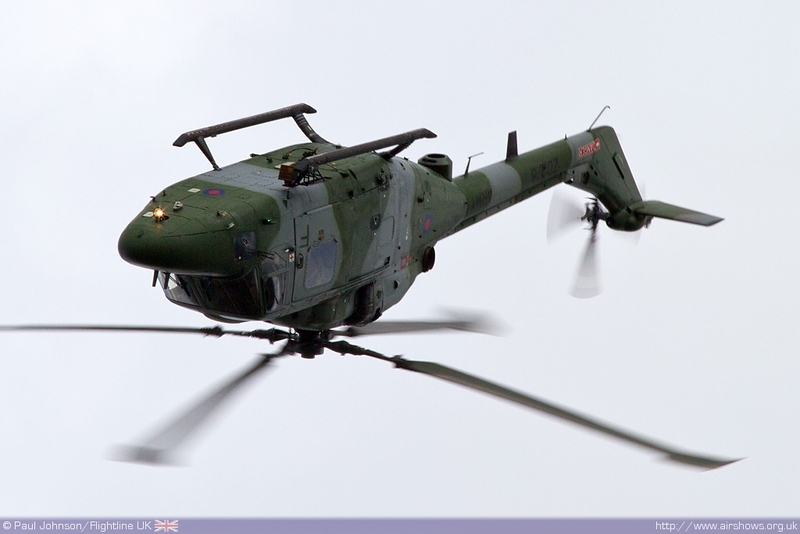 The Lynx is one of the most iconic display helicopters and despite not performing its full routine the Lynx did provide some dramatic figures including a hesitation pedal-turn and the double-backflip. 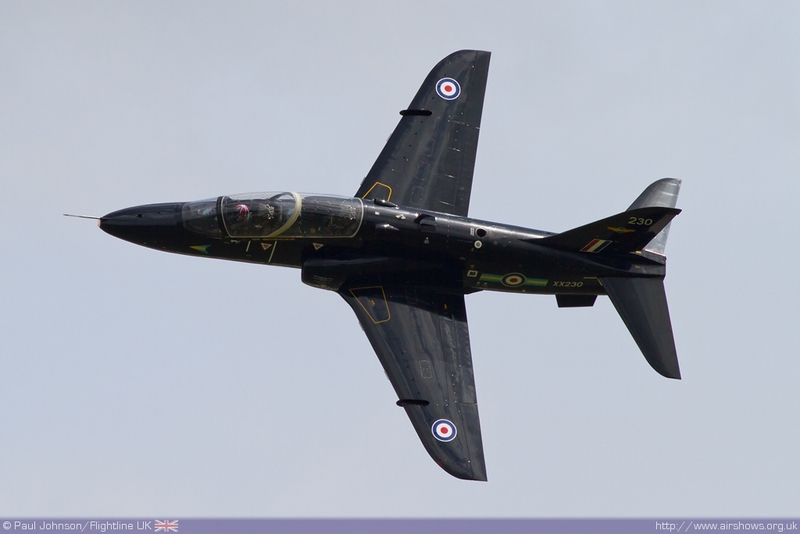 The Royal Air Force has been a good supporter of the show in recent years and was again in 2012 with all of the RAF’s Trainer solos in attendance. 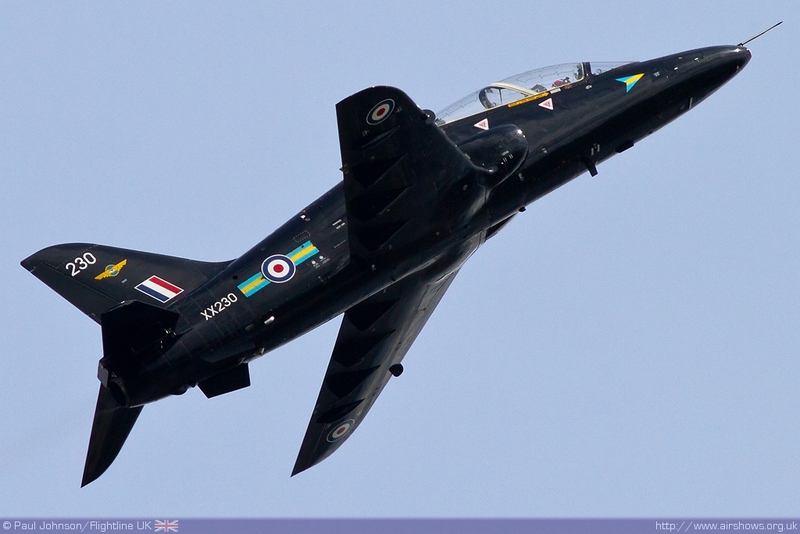 Opening the show was Flt Lt Phil Bird in the Hawk T1, an aircraft in its final season as a solo display aircraft. 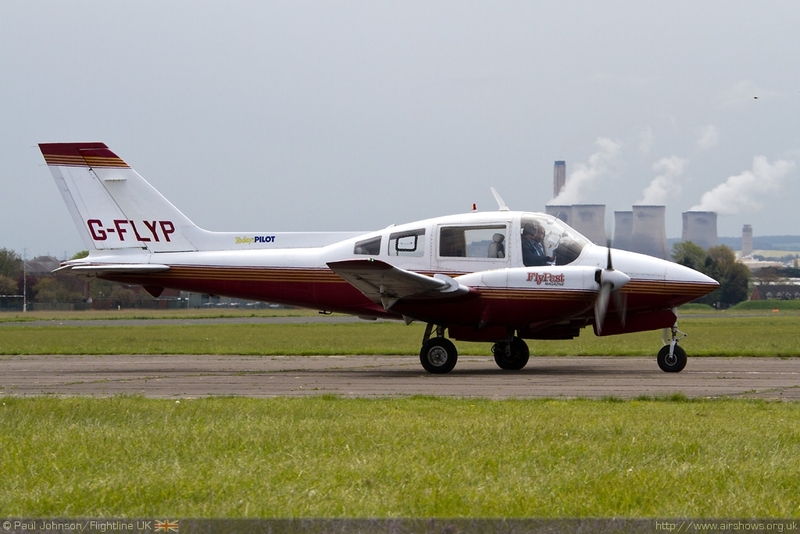 The T1 is beginning to be replaced at RAF Valley by the T2 operated by IV(R) Squadron. 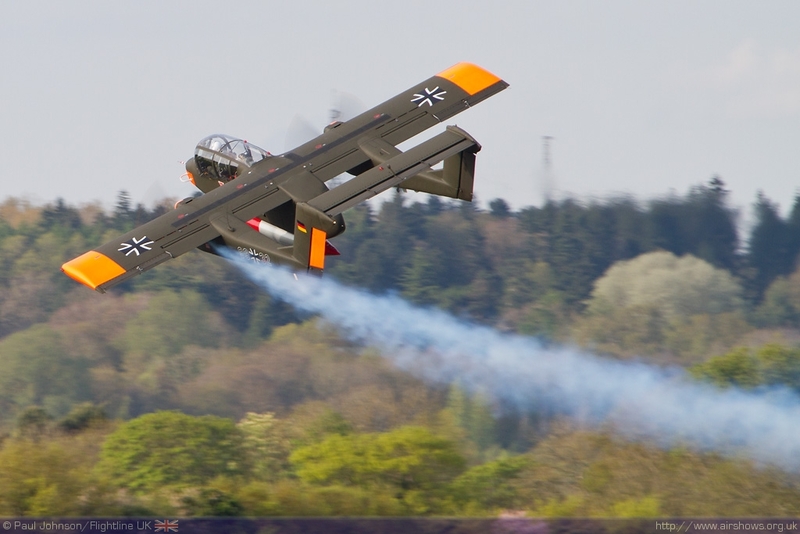 His new display sequence shows off the full range of the Hawk performance with some very nice slow speed figures. 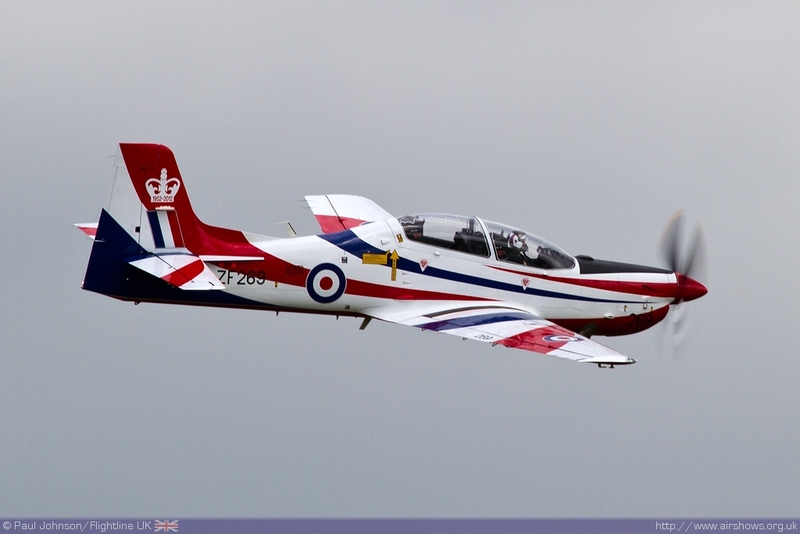 Flt Lt Shaun Kimberley is returning for a second season displaying the Tutor and has further increased the number of flick rolls within his display for 2012. 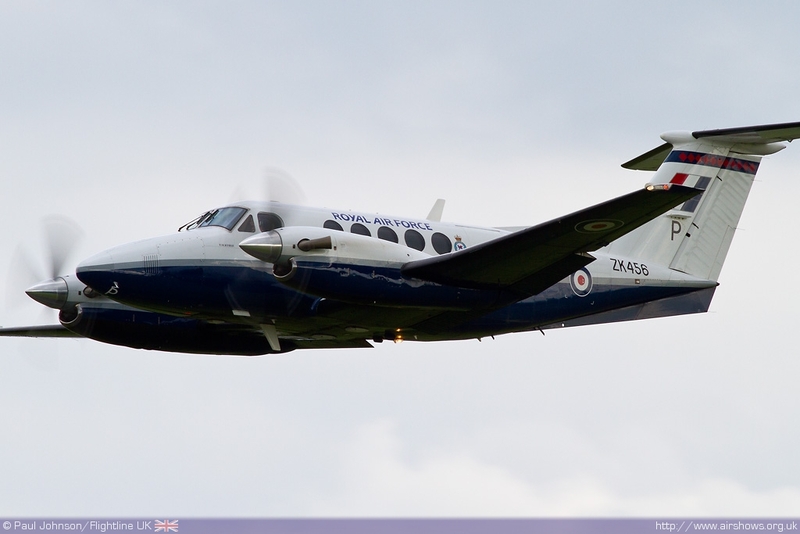 Also from RAF Cranwell come the King Air solo which has a new display captain, Flt Lt Ian Birchall who has a developed a brand new sequence this year. 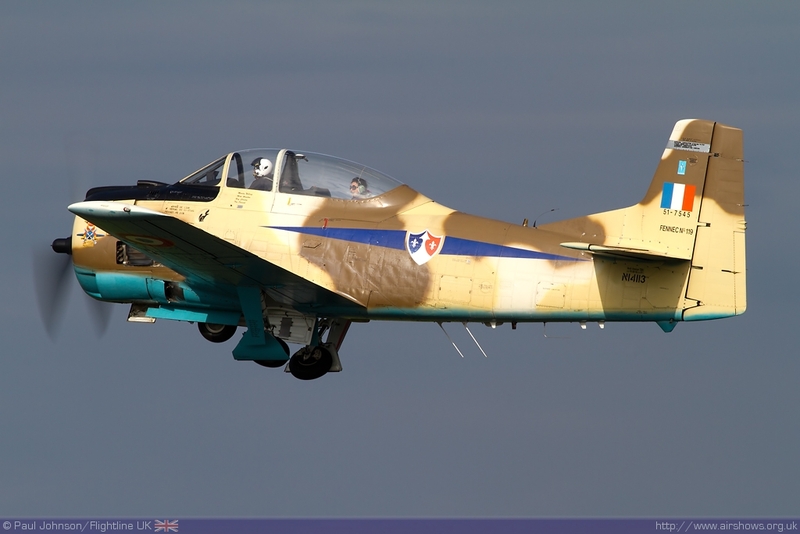 Perhaps the most eagerly anticipated of the RAF solos for Abingdon however was the Tucano which this year has been painted in a spectacular ‘Jubilee’ themed display scheme. 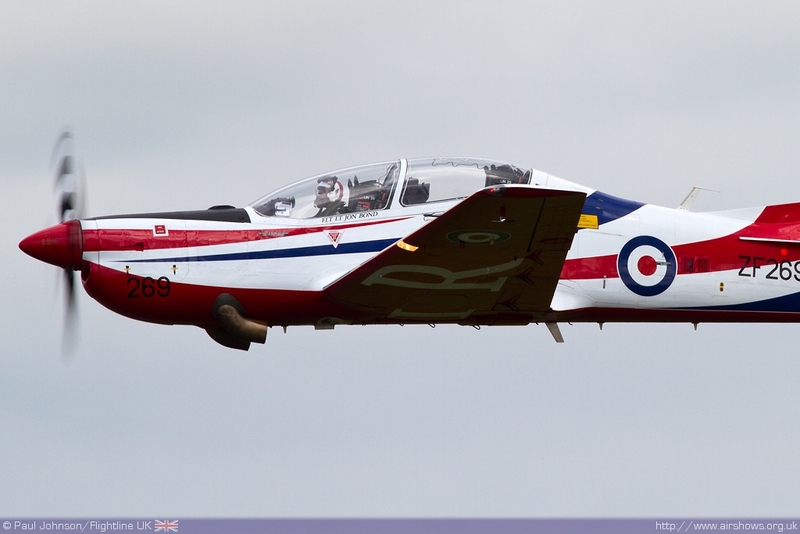 Flt Lt Jon Bond precise display cleared shows off the patriotic scheme to the display crowd incredibly well and it looked superb whenever the sun shone on it! 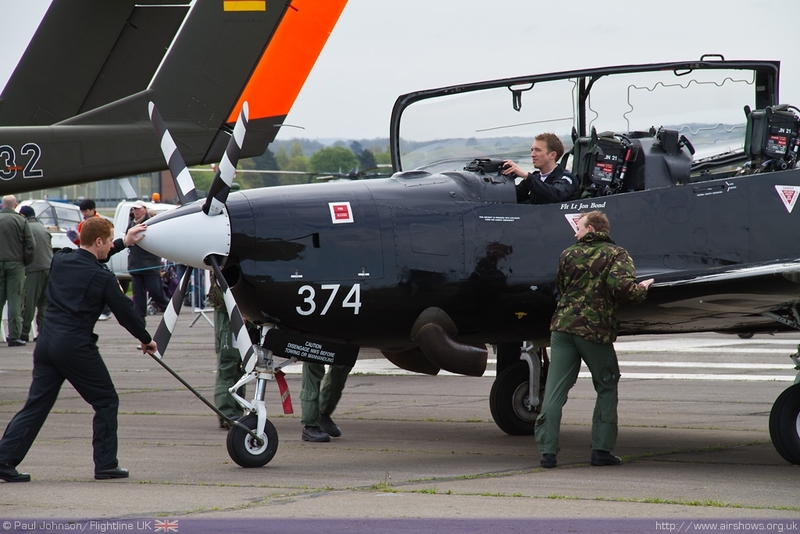 As ever Abingdon included some great display teams from the civilian world. 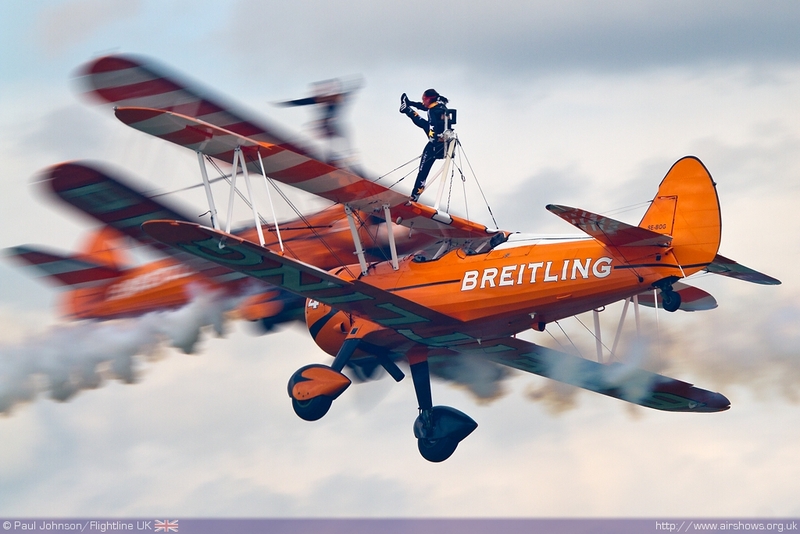 Making their Abingdon debut were the Breitling Wingwalkers who clearly left their mark on the Abingdon crowd who clearly enjoyed their display from the audible ‘oooos’ and ‘aaaarrs’ during the display. 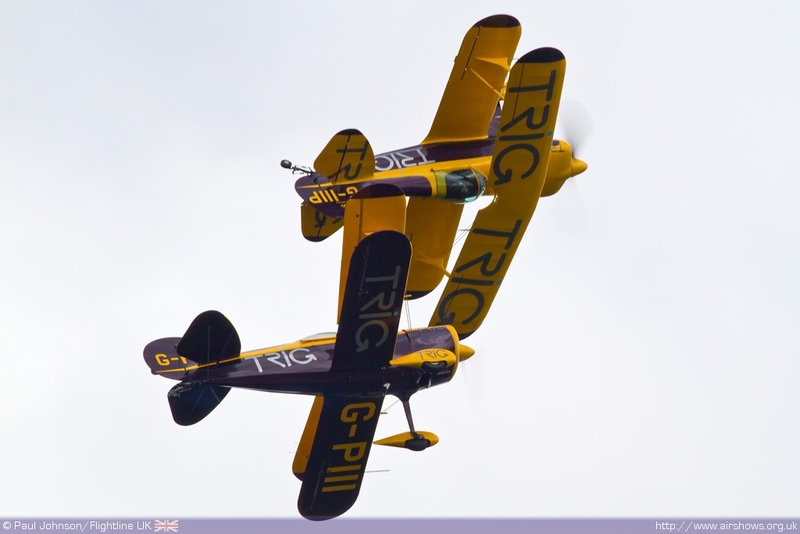 Another pair of biplanes was the TRIG Aerobatic Team previously known as the Pitts Pair. 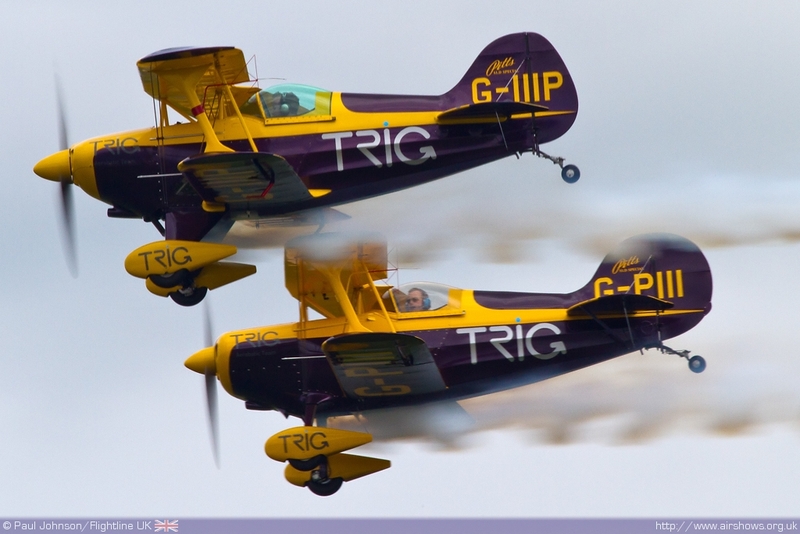 Richard Grace and Dave Puleston put on a magnificent display of close formation and synchronised opposition flying in their smart pair of Pitts S-1D Specials. 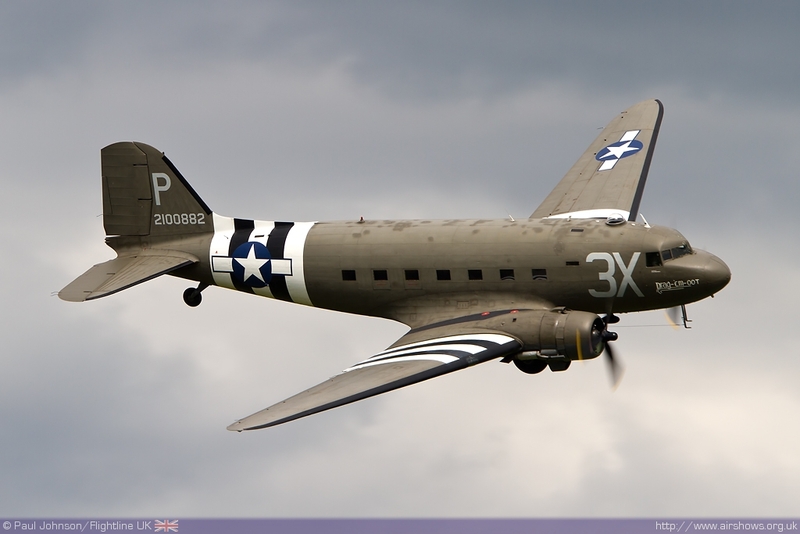 Warbirds and Historic aircraft played a much bigger role in the flying display this year with a wide variety of types. 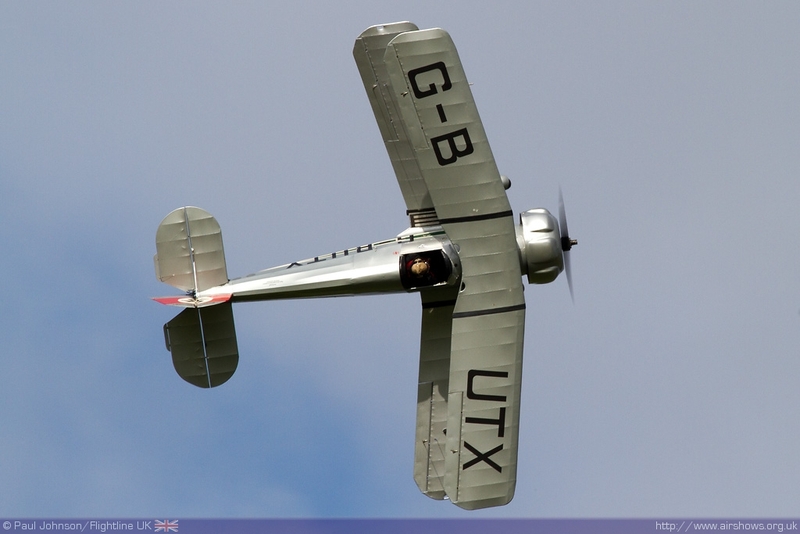 A very unusual participant was the Miles Whitney Straight, a 1930’s touring aircraft. 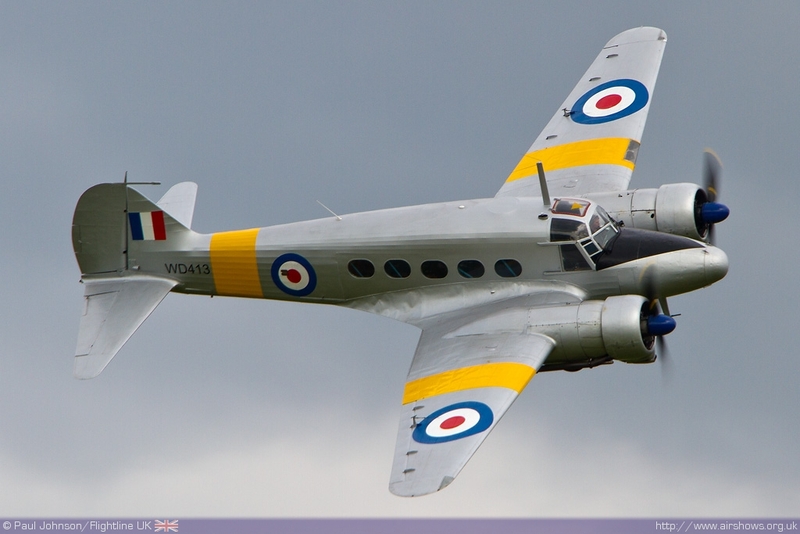 In fact this particularly aircraft G-AERV was actually based at Abingdon when it formed part of the Station Flight before the Second World War. 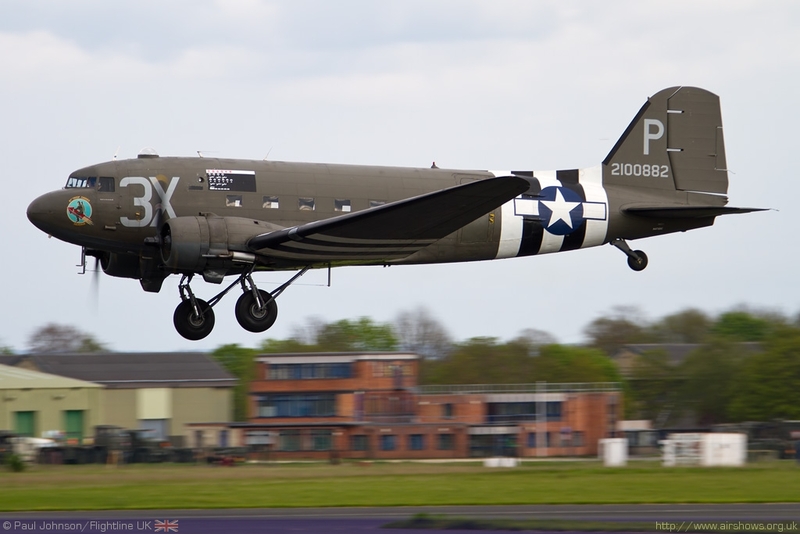 Second World War heavy-iron was out in force at Abingdon. 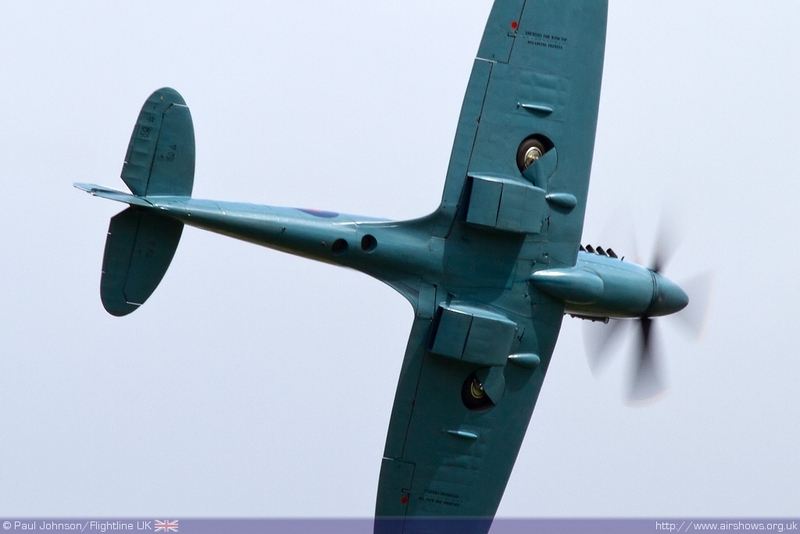 The Battle of Britain Memorial Flight made an all-too rare appearance at Abingdon with one of its Spitfire PRXIXs which was the only display not seen on the ground as well as in the air. 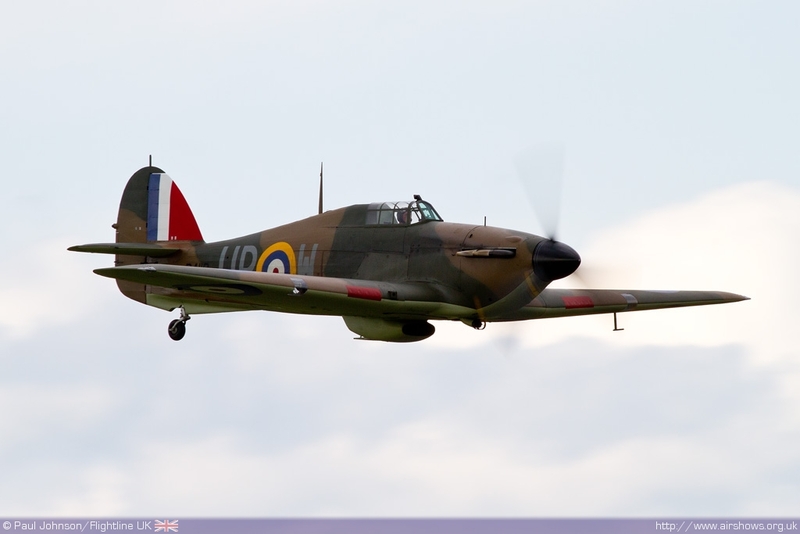 It was also good to see Peter Vacher’s Hurricane I flown by Carl Schofield which is a local resident based on Peter’s own private strip near-by. 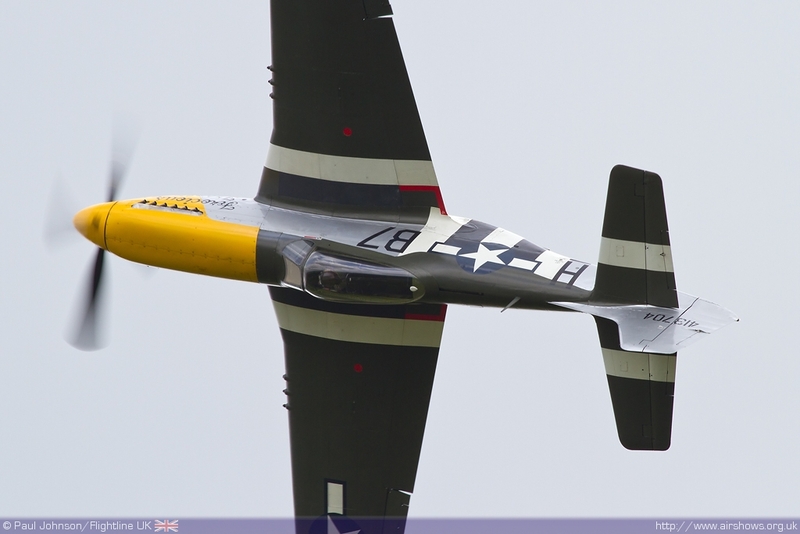 Further fighter action came from Alister Kay in the OFMC P-51D Mustang Ferocious Frankie who put on a display power with graceful loops, rolls and curved passes for the crowd. 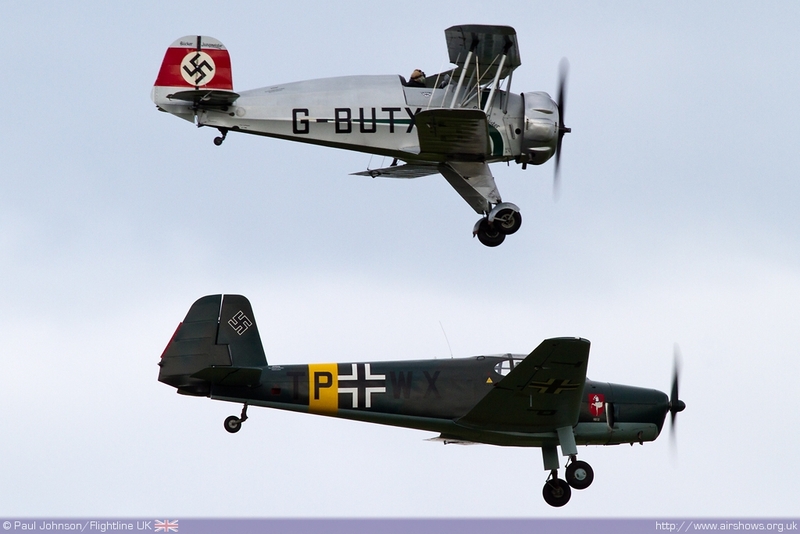 Pre-war Luftwaffe aviation was also represented by a pleasing pair of Bucker Jungmeister and Bucker Bestmann. 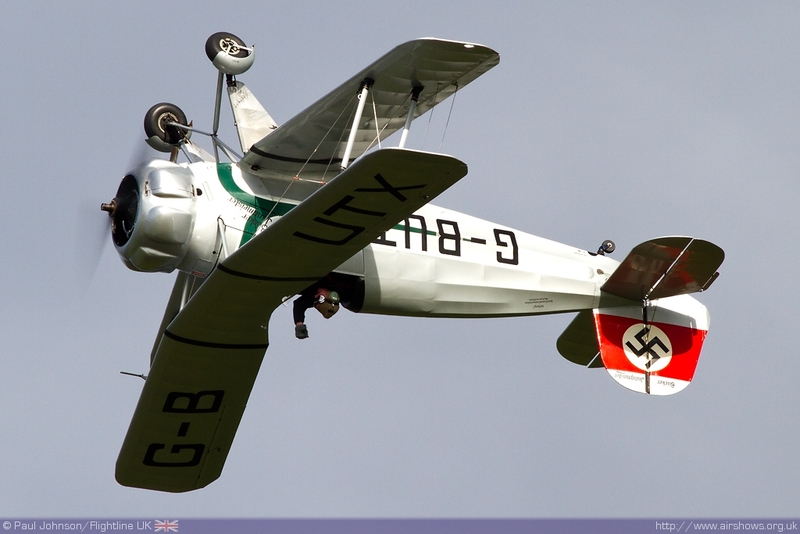 Will Greenwood put on an eye-catching display in the Bestmann which included some very steep but gentle wing-overs while Alex Smee put on an impressive aerobatic sequence in the Jungmeister to close the show. 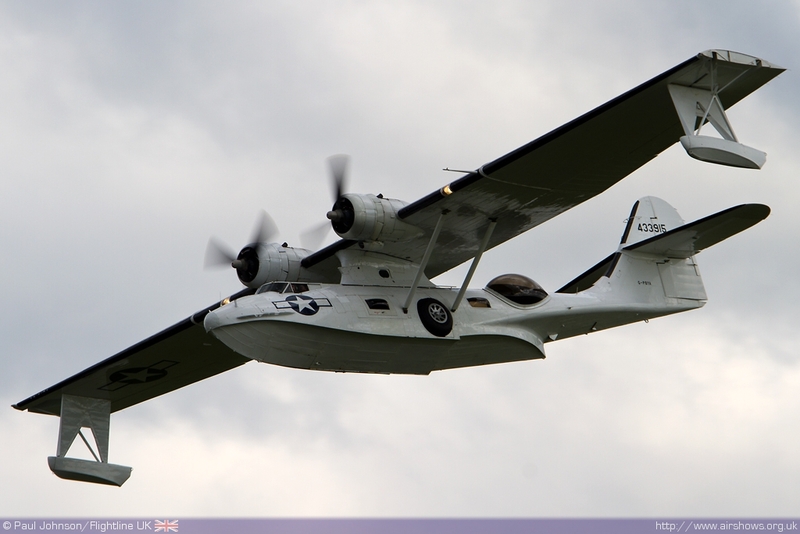 But perhaps the most impressive displays came from the ‘heavies!’ A late addition of the flying display was the PBY-5A Catalina now adorned with the nose art ‘Miss Pick-Up.’ However the star turn for me was the pairing of The Classic Aircraft Trust Anson T21 and the C-47 Skytrain ‘Drag ‘Em Oot’ which not only displayed as solos but also as a tail-chase pair which was great to see. As ever Abingdon was a great way to start the display season despite the slightly chilly conditions. 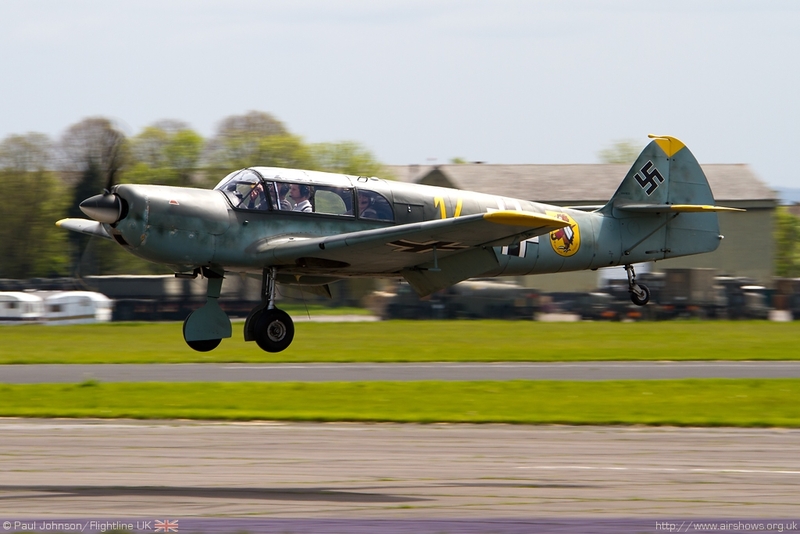 It was particularly good this year to see a slightly different display to those seen in the last couple of years with some new faces and aircraft to Abingdon!